Philosophy for busy people. 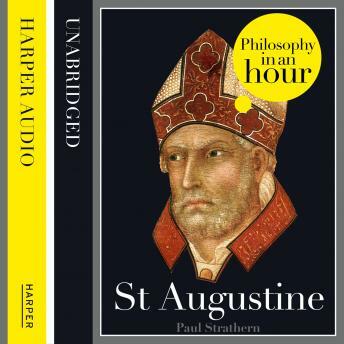 Read a succinct account of the philosophy of St Augustine in just one hour. Augustine's Confessions details his personal struggles with morality, his spiritual crisis and the conversion to Christianity that ultimately led him to his major contribution to philosophy: the fusion of the doctrines of Christianity and Neoplatonism. This provided Christianity with a strong intellectual backing by tying it to the Greek tradition of philosophy. Augustine also produced important philosophic ideas of his own, including theories of time and subjective knowledge that anticipated by many centuries the work of Kant and Descartes. Here is a concise, expert account of St Augustine's life and philosophical ideas - entertainingly written and easy to understand. Also included are selections from St Augustine's work, suggested further reading, and chronologies that place St Augustine in the context of the broader scheme of philosophy.